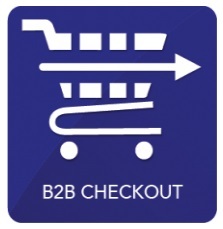 Do you know that B2B websites can have a special checkout procedure? 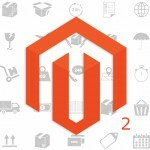 You can essentially improve the life of your business partners by installing special Magento modules; and today, we’d like to draw your attention to the Ecomwise B2B Checkout Magento 2 extension. One Step Checkout by Magedelight. This module improves the default Magento 2 checkout procedure by reducing certain steps. First of all, you allow customers to skip the payment method section. Next, you can disable the shipping method selection. A B2B customer account should have enough information to complete the checkout procedure without entering this information manually. And of course, the extension can be limited to particular customer groups. 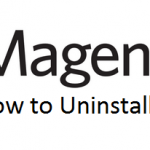 Since the Magento 2 extension is not yet available, we’ve analyzed its predecessor. The improved checkout procedure consists of 3 steps. They are situated on a single page but you can’t skip a step or two. Although this is not the best possible solution, since there is a lot of one step checkout extensions, Ecomwise B2B Checkout for Magento shows essential optimization. 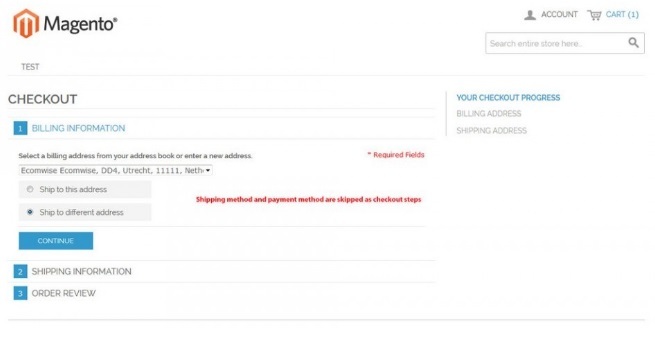 Most fields are filled in by default that dramatically increases the checkout speed. It’s up to you to decide whether to use B2B Checkout by Ecomwise or an alternative one step checkout extension, but we are here to shed light on the module. As mentioned above, the Magento 2 version is under development, so we don’t know it’s price, but you can purchase the 1.x checkout for just €99.